We are always busy in our life that we never give a thought about the atmosphere. We are concerned only about the heat and we comfort ourselves by cooling our home environments with an air conditioner. Similarly, we never give a thought to humidity, which is the amount of water vapor in the air, because it cannot be seen. We assume it’s plain and harmless dry air and thereby face its negative consequences. Vacker UAE’s Dehumidifier Abu Dhabi Division solves all your problems. Often, the changes in humidity levels in places like Abu Dhabi, can be annoying. High humidity is associated with problems and bad consequences. The humidity in Abu Dhabi is uncomfortable and dangerous as it causes various problems such as damage to homes in the form of dampness on wall, fungus, mold and so on. It is bad for homes and offices. Humidity must always be maintained to prevent such damage and other humidity-related issues. What does inadequate level of humidity do? Humidity has adverse effects on you and your home environment and hence, it is considered detrimental. You might have experienced few problems of humidity like musty smell on your clothes, skin itches, etc. The amount of humidity in the air can directly affect the environment and can be a breeding ground for bacteria to grow. It can be a destruction for your comfort. The consequences of it are such that even expensive items like furniture, clothing, guitar and other instruments can be damaged. The humidity also affects your health and should be corrected immediately as it might cause asthma and skin allergy. The moisture content cannot be easily prevented. You might have seen the moisture content in the window glasses or must have felt a musty smell in rooms. The humidity can only be reduced with a device called Dehumidifier. The dehumidifier works using the principal of evaporation. 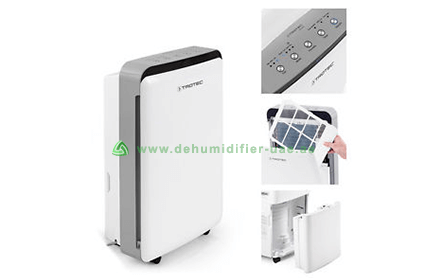 Dehumidifier is a device that intakes air from your room, absorbing all the moisture content from within it. It then releases fresh clean air in the room. The moisture content is collected in a condensation drain which is then discarded from the dehumidifier, for it to function again. 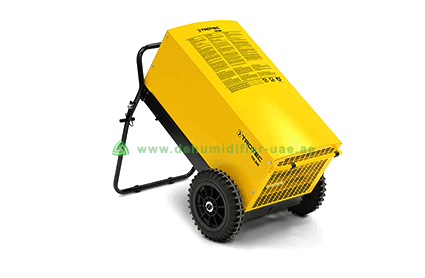 How can Dehumidifier Abu Dhabi control humidity? Owning a dehumidifier brings in many benefits for you and your home. The dehumidifier efficiently absorbs all the pollutants, bacteria and moisture from the air and allows you to breathe fresh air. It maintains the level of humidity and protects your health and expensive items in your room. It also freshens up the air so that, you and your family have a good sleep. The best dehumidifier is the one that is most compact and easy to use. Before purchasing a dehumidifier in Abu Dhabi, it is essential that you browse through some pre-requisites of buying one. 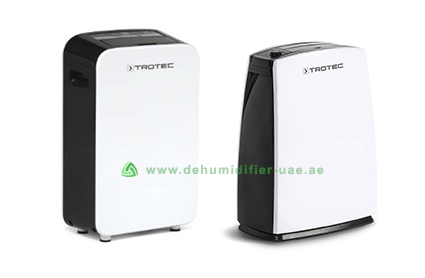 Our post on Best Dehumidifiers in Dubai can help you achieve the same. The dehumidifiers have a large LCD display with easy-to-read functions. You can also set the timer in the dehumidifier so that the dehumidifier functions as per the adjusted time. Few dehumidifiers have automated drainage system where the dehumidifier throws out the dehumidified water and functions again. The word portable suggests easy accessible. Yes, portable dehumidifiers are easy to carry and can be kept in any part of the room. The dehumidifying capacity of this device is less and is perfectly suitable for homes and offices. 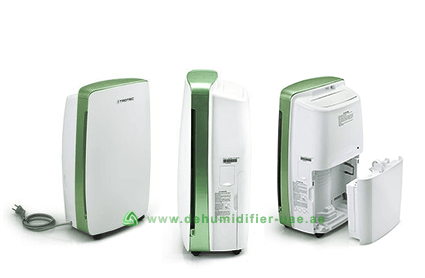 The large-sized dehumidifiers have more dehumidification capacity when compared to the small portable dehumidifiers. They can dehumidify air of a larger area. The whole-house dehumidifier has a very high performance and with high dehumidification capacity. It is perfectly suitable for various industrial applications. 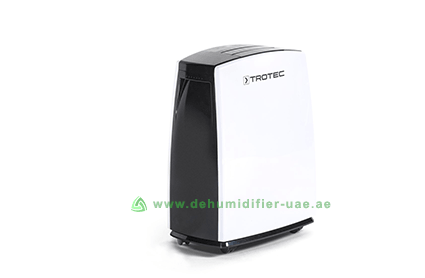 Where to buy Dehumidifier in Abu Dhabi? Vacker UAE is one of the pioneers in providing Dehumidifiers in Abu Dhabi with its world-class products and top customer service. 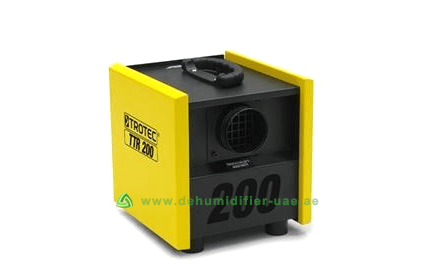 We are one of the trusted names in selling Dehumidifiers in Abu Dhabi online. 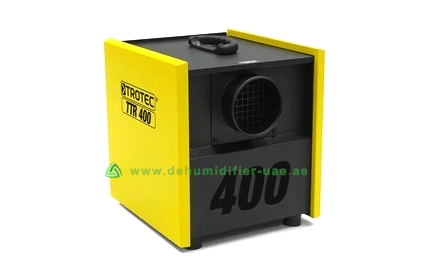 Vacker UAE's Dehumidifier Abu Dhabi Division offers dehumidifiers of all ranges for different applications.